Cosmetics these days are made using tons of chemicals. We apply them on our faces and body without giving it a second thought. Most of us don’t even know what’s in the products that we spray or slather on our faces. 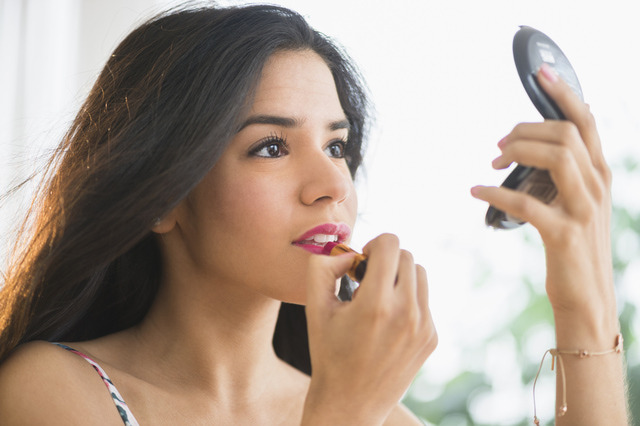 No doubt that in today’s age, we cannot do without applying makeup and other cosmetics with chemicals in it. But there are some chemicals that we can do without. Cosmetic it is found in: Shampoo, conditioners, toothpaste, shaving gels, moisturizers and sunscreens. Paraben gets absorbed into the skin and it does get released in our urine. But research has found that not all the Paraben that is absorbed by the skin finds a way out. Cosmetics it is found in: Fragrance, deodorant, nail polish and most hair products like hair spray and gel. Phthalates are literally plasticizers. They are known to disrupt the endocrinal functioning. Their existence in the body can affect the balance and functionality of the hormones in the body. It has been known to disrupt the male sexual hormone and decreased motor development, especially in boys. Cosmetics that it is found in: Hand sanitizers, deodorants and certain toothpastes. This chemical is basically an antibiotic. Regular use will increase the resistance of the disease causing bacteria. Cosmetics that it is found in: Deodorants, perfumes, soaps, detergents, lotions, basically any cosmetic that smells good. Fragrances are usually made of Phthalates and synthetic musk’s that hamper the ability of the cells in our body to detoxify and even the defense mechanisms of the body. Cosmetics that it is found in: Any cosmetic product that promises to protect against the sun. All UV filter cosmetics are made of properties like benzophenone and oxybenzone that as most chemicals do disrupt the endocrinal system along with that of the thyroid and hormonal functioning. They accumulate in the body. They have external effects such as developmental lapses and even drug resistance. Excessive usage will aggravate problems caused by the chemical.